Suzanne Clark is one of the best writers I have ever read. She can build worlds, write dialog, and build plot in ways that seem absolutely effortless. I admire her wholeheartedly. 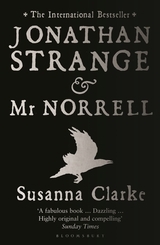 In her book, Jonathan Strange and Mr. Norrell, she crafts an alternate history of 19th century England where magic is real, but lies dormant; it is up to the titular Gilbert Norrell, and his protege Jonathan Strange, to revive English magic to the detriment of her enemies, namely Napoleon and his Continental allies. These two magicians are so well developed, they might as well be flesh and blood. She manages to surprise with these fellows, while giving them real personalities. In the same vein, her minor characters are as interesting and varied as most writers’ protagonists. Her characterization of Lord Wellington, in particular, is an absolute joy to read. Her ability to build worlds is unparalleled. 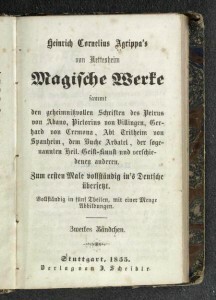 She wrote of no less than 45 reference, scholarly works and periodicals of English magic. Some of these are described as books about magic, the contemporary histories and theoretical books about magic, and others as books of magic, powerful tomes written by practicing English magicians. It’s a whole corpus of interesting literature that is used to advance the plot, build her world, and give the ideas of her characters life. These are all expounded upon in 185 sumptuous footnotes. Most times when a fiction author uses footnotes, it’s jars the reader out of the story and is thoroughly annoying. Here the footnotes gives the reader a sense that they are peering into a different world. They foreshadow characters and events. They make it easy to lose oneself in the story. The most impressive tack the book takes its system of magic. There are definitely rules, but we’re not told them. We can see its use and effects, and bits and pieces are explained, but for the most part, magic remains a mystery in this book. The biggest mystery to me when I read it was how, exactly, anyone could’ve written something like this. It’s nearly flawless. Really excellent art does that: it seems not painted or written or drawn, but rather conjured. In the end, truth be told, I did not want the book to be finished. After I’d finished the book, I began to research it. I just needed more. In the midst of this flurry of googling, I read that the book had taken her more than 10 years to write. That made perfect sense to me. I cannot fathom what it would take to craft a corpus of imagined fiction, let alone write about them in footnotes woven into an already large novel, but I can understand that this would take a damn long time. Anything done so well, so meticulously, would take incredible endurance. Conversely, there are books that you can tell the author simply did not take the time to work through all the book’s problems. Night Circus by Erin Morgenstern is a book like that; it’s similar in genre, but the seams of the book are plainly visible in many places. You can see flashes of brilliance in it, but these fizzle when certain aspects take you out of the period and out of the story, especially in terms of dialog. That isn’t to say that Night Circus is a worthless book, but it could’ve been something far greater than what it is. All it needed was a bit more endurance. In life, we ask for answers. But, as Douglas Adams hilariously taught us, the answer often lies in asking the right question. I firmly believe there are real books of magic. And the difference between our books of magic and our books about magic is a single word. That word, of course, is endurance.